This page has a background of the Northern Territory (NT) and Australia in 1984. In the first weeks of the New Year, Northern Territory newspapers reported on fuel supply issues, the closure of the Darwin Primary School, increasing doctor's fees, and increased tariffs and charges for electricity by the NT Electricity Commission. 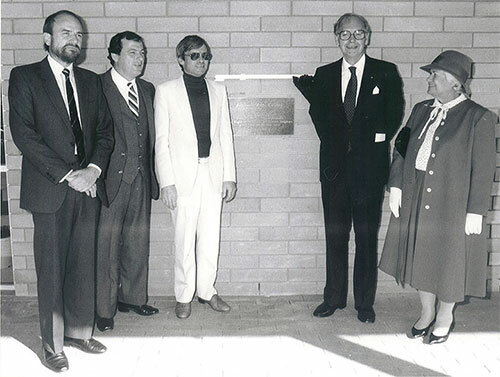 The Darwin Hospital had been conferred as the Royal Darwin Hospital, in recognition of its 'long and valuable service to people of Darwin and the Territory'. Category five Cyclone Kathy hit the Edward Pellew Islands in the Gulf of Carpentaria, causing significant damage on the prawn trawling fleet and in the township of Borroloola. 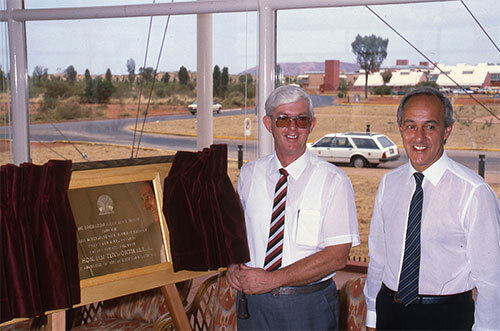 The Governor General Sir Ninian Stephen officially opened the Araluen Arts and Entertainment Centre in Alice Springs, and then on the 23 June opened the Menzies School of Health Research in Darwin. The Radio Australia facility on the Cox Peninsula, including the installation of short-wave radio transmitters for the Inland Service and reconstruction of the Mandorah jetty, was re-commissioned at a cost of around $10 million. The inaugural National Aboriginal and Torres Strait Islander Art Award was held at the Northern Territory Museum of Arts and Sciences, Darwin. 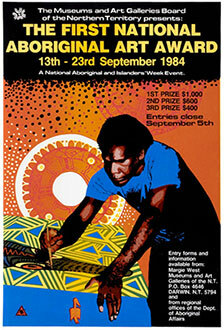 First prize was awarded to Michael Nelson Tjakamarra, second prize to Jack Wunuwun and third prize to Harold Thomas. The Northern Territory Government paid $2.5 million to the outgoing operators of the Darwin and Alice Springs casinos, Federal Hotels Ltd.
Singer Cliff Richard performed at the Darwin Amphitheatre. Roger Steele was elected Speaker of the Legislative Assembly. Chief Minister Paul Everingham resigned from the Legislative Assembly, to contest the Northern Territory House of Representatives seat. Ian Tuxworth was appointed Chief Minister and the first Tuxworth Ministry of seven was appointed. At the Federal election, Paul Everingham (CLP) replaced John Reeves (ALP) as Member for the Northern Territory; Senators Kilgariff (CLP) and Robertson (ALP) were returned. In a by-election, the seat of Jingili was retained for the CLP by Rick Setter, who succeeded Paul Everingham. The second Tuxworth Ministry of eight was appointed, including for the first time Steve Hatton and Barry Coulter. A 115g jar of Vegemite was the first product in Australia to be electronically scanned at a checkout. Advance Australia Fair was proclaimed as Australia's national anthem, and green and gold the national colours. The one dollar coin was introduced in Australia. The National Crime Authority was established. Western Australia became the last Australian state to abolish capital punishment for ordinary crimes (i.e. murder). New South Wales maintained it as a punishment for treason and piracy with violence until 1985, when capital punishment was finally abolished in Australia. The Hawke Government was re-elected with a reduced majority. Australians were watching Sweet and Sour on the ABC Television, an Australian production about a group of friends who form a rock band, along with the BBC series Minder starring Denis Waterman, and Mother and Son starring Ruth Cracknell and Gary McDonald. Perfect Match, a television dating program was launched in the 5.30pm timeslot, bringing in record ratings. The Nine Network's Hey Hey It's Saturday moved from Saturday mornings to the 9.30pm timeslot, and renamed Hey Hey It's Saturday Night. Network Ten televised the 1984 Summer Olympics from Los Angeles. The first televised federal election debate was held. Amadeus, a movie about the life of composer Mozart won best film at the Academy Awards, Sally Field best actress for her role in Places in the Heart, and Haing S. Ngor won best supporting actor for his role in The Killing Fields. Romancing the Stone starring Michael Douglas and Kathleen Turner won best comedy movie at the Golden Globes. The first of the Police Academy films was released, along with Ghostbusters, Splash, and Footloose. The Australian movie Razorback was released, a film revolving around the exploits of a gigantic wild boar terrorizing the Australian outback, killing and devouring people. The music charts for 1984 featured Nena, 99 Luftballons; Prince's Purple Rain album and Frankie Goes to Hollywood with album Two Tribes. Australian band INXS release The Swingin April, Born in the USA from Bruce Springsteen was released in June, 1100 Bel Air Place an album of love songs performed by Julio Iglesias is released and Twentieth Century the final studio album for Australian band Cold Chisel (before they reformed in 1998) was written and recorded over various sessions during the period of the band's break-up and during breaks in their final tour.